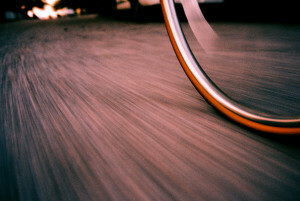 Wheels and tires are an often overlooked part of a bicycle. It’s common practice among bicycle manufacturers to offer better shifting and brakes on a bike at the expense of their bikes’ wheels; similarly, it’s all too easy to throw on the cheapest tires that fit, but the performance of your wheels and tires can greatly affect your ride and safety. The most obvious aspect of tire performance is grip. In scientific terms, friction force between two surfaces depends on how the material of each of the surfaces interact and the force applied between the surfaces. Surprisingly, this leads to the conclusion that on a solid surface, that the width of the tire doesn’t affect grip! However, real-world conditions dictate that wide tires will generally grip better – surfaces such as sand, loose gravel, or dirt, which aren’t solid, require larger tires run at lower pressures to maintain grip as the force is applied over a larger area, leading to less potential for loss of grip. Another important aspect of tire pressure is energy loss from tires. As many racers might point out, aerodynamic forces on tires provides drag – however, this is negligible in comparison to the drag from the rider and bicycle itself and also involves a number of complex interactions between the passing air and the system of bicycle components. In short, putting skinny tires on your bike to go faster may not give you the results you expect. The other way that tires absorb energy is by interactions with the road – as tires deform to go over bumps and recover their shape afterwards, energy is converted to heat and lost. Supple, wider tires run at lower pressure can help to reduce this type of energy loss. More on this subject, including empirical test results, can be found in the magazine Bicycle Quarterly. 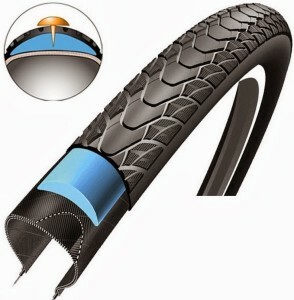 Tire and wheel weight are also important aspects of bicycle performance. In comparison to the rest of the bicycle’s components, which resist forward motion with largely linear inertia, tires and wheels also have rotational inertia. In layman’s terms, wheel and tire weight have an outsized effect on how easy it is to accelerate your bike. Light tires and wheels will make your bike faster to accelerate, but this consideration must be balanced with the strength of wheels and the amount of flat protection you need. The weight and inflation pressure of your tires are also important for other reasons – though it may not seem obvious, your tires are part of your suspension system. Heavier tires lead to worse suspension performance, especially with off-road, suspended bikes. 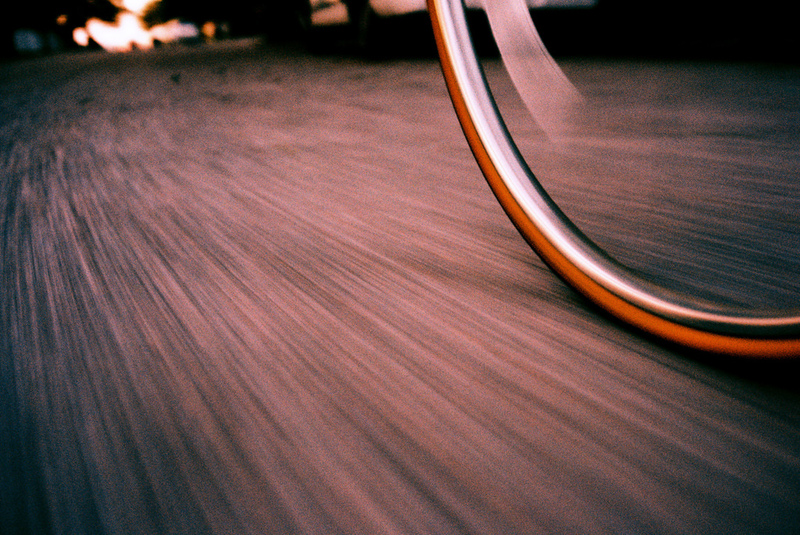 Finally, wheel size has important consequences for the performance of your bike. Broadly speaking, larger wheels will roll faster as they can pass over bumps and road irregularities more easily, but all things being equal, they are heavier, weaker, slower to accelerate, and offer worse handling. The opposite is true for smaller wheels. So, what should you know about tires and wheels? They are a hugely important part of your bike’s performance, and are often overlooked. Wide, light, supple tires run at lower pressures and pumped up often will offer the best performance in real-world conditions for most people.